Mike Lefevre’s goal throughout his 20+ years in the P.G.A. of Canada is to have his students learn golf quickly and efficiently in a fun environment. Whether you are a beginner or an advanced player his understanding of the game allows him to cut through all the parts of a swing to get to the root causes of a problem. With the use of both V1 Video Swing Analysis and the FlightScope Launch Monitor, Mike Lefevre will explain the key fundamentals and mechanics of the golf swing and their affect on ball flight. This understanding is important for students to build a powerful and dependable golf swing as well as being able to diagnose and correct problems should they arise on the golf course in the future. 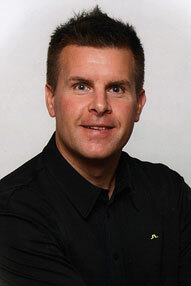 Mike Lefevre’s ability to explain the golf swing with clarity and to understand the unique needs of each of his students has earned him the respect of his colleagues and students and has made him one of the most sought after Teaching Professionals in Ontario.